Wash the peaches and dry them. Cut the pitted avocados in half; you will need the skin to serve the salad. Scoop out the flesh of the avocado, make sure you don’t damage the skin. Smash the flesh you took out with a fork and sprinkle with lemon juice. Then finely chop the chives. add the paprika and thyme and whisk until you get a smooth sauce. Now mix the avocado paste with the peaches, the rest of the ingredients and add the sauce. 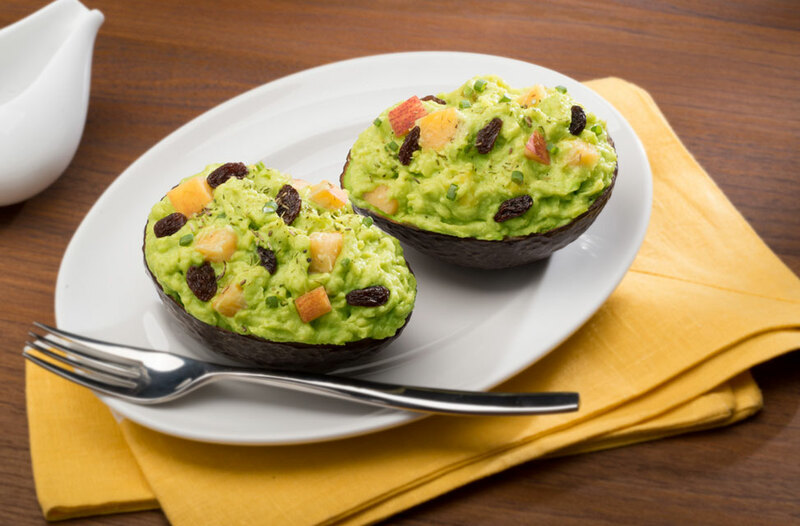 Fill the avocado shells with the avocado salad with apricots. Serve with thyme and season to taste.